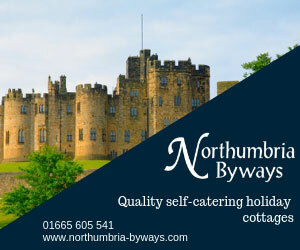 Four star country house hotels, cosy pubs,family-run bed and breakfast, luxurious lodges and self catering options of every style and size; Northumberland has accommodation to suit every taste and budget. Located on the outskirts of Northumberland National Park, at Battlesteads Hotel & Restaurant you’ll find a warm and welcoming atmosphere where you can enjoy some of the finest home cooked food, prepared with home-grown ingredients, a wide range of local and national cask ales, a well-travelled list of sustainable and biodynamic wines, and locally-sourced produce. Winner of the Visit England Awards for Excellence Gold for Sustainable Tourism Business 2017, Battlesteads Hotel & Restaurant in Wark, near Hexham, is the perfect place for tourists and locals alike to sit back, relax and enjoy the bounty of local produce the North East has to offer. 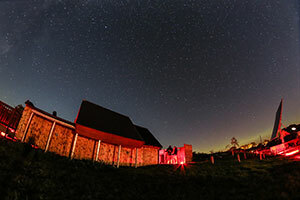 Battlesteads’ observatory is its star attraction – awarded Designated Dark Sky Site status, sitting on the edge of the Northumberland Dark Sky Park it benefits from fabulously clear skies where on a good night, the Milky Way can be seen with the naked eye and you may even sight the magical Northern Lights. The observatory’s expert astronomy team can guide you through the night sky, with a wide range of events and courses running throughout the year that are suitable for all ages and levels of stargazer. Make the most of your visit to Battlesteads with an overnight stay in one of its 22 en-suite bedrooms and eco lodges, and dine in the recently refurbished Battlesteads Restaurant. Head chef Eddie Shilton uses the very best local produce, including some suppliers just a minute’s walk from the hotel, along with fruit, vegetables and herbs grown on-site in Battlesteads’ own kitchen garden. Battlesteads has a menu for every occasion, from snacks, sandwiches and fresh salads to the evening a la carte, which features succulent local steaks, sustainable seafood and tempting desserts, including the hotel’s signature whisky & marmalade bread and butter pudding. With its prime location on the edge of the Northumberland National Park, Battlesteads is perfectly positioned for exploring the rugged scenery of the North East, seeing world-class historical sites such as Hadrian’s Wall and experiencing the biggest Dark Sky Prak in Europe. Nestled into the heart of Kielder Forest Kielder Waterside lodges bring a touch of luxury to the great outdoors. With contemporary design alongside a stunning forest location enjoy the brand new features and benefits that will make you feel right at home. Set within the heart of Kielder Water & Forest Park enjoy the darkest skies in England, the largest working forest in England and the largest man-made lake in northern Europe, there is truly nowhere else like it. For friends, for fun, for romantic getaways, for adventure, for discovery, for making memories, for starry nights and for adrenaline fuelled days, Kielder Waterside has an experience for everyone. There’s nothing more magical than the sky by night and our skies twinkle the most in England. 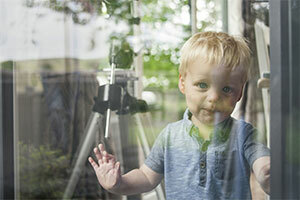 Stay in a lodge at Kielder Waterside, cosy up and make the most of some stargazing together or with the family. You can even see the stars from your very own private hot tub.